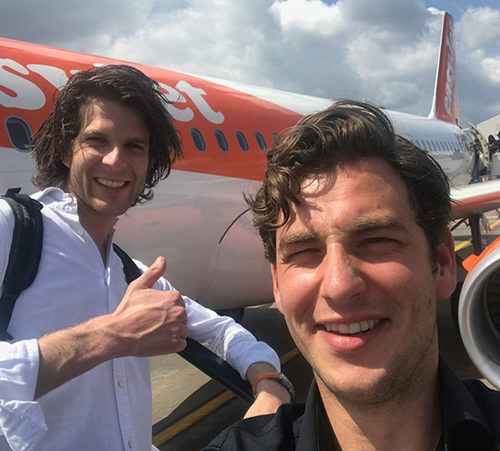 What’s more, Dean has one of the most important roles within BigAirBag as he takes care of the consumer, listens to the needs of our clients and makes sure that every customer is left with a smile on his face. It does not matter if he has to use a translator to communicate or work through the night using a torch, Dean is reliable and will get the job done! In 2018 alone he conquered half the world from North to South America, China to Europe and the Middle East to Australia. Through different time zones and extraordinary cuisines Dean barely remembers what his own bed feels like! We managed to tie Dean down for a couple of hours and ask him about his life as a BigAirBag nomad. Share some of his experiences, talk about his most memorable installations and find out what he encounters on a daily basis? The most impressive installation of 2018? 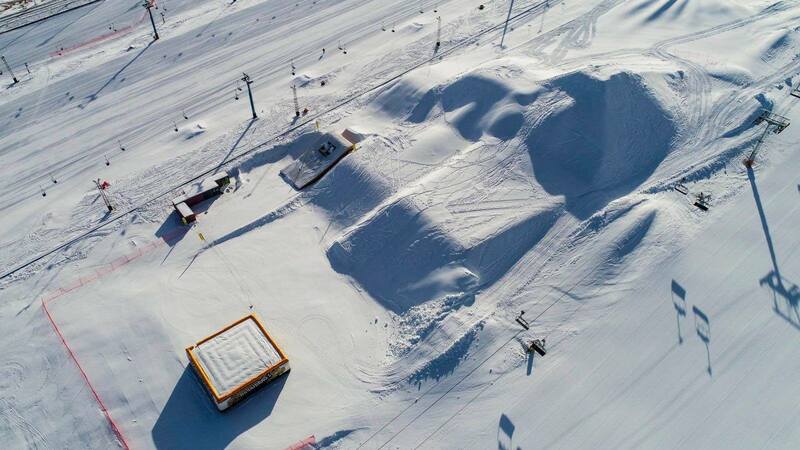 Silk Road Ski Area in Urumqi, China! 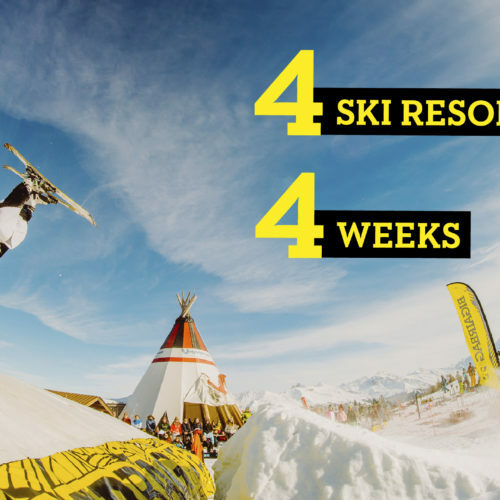 Like nothing seen before, it offers a fantastic training platform for Skiers and Snowboarders of every ability. They have utilised the revolutionary BigAirBag technology and provided the ultimate educational facility. 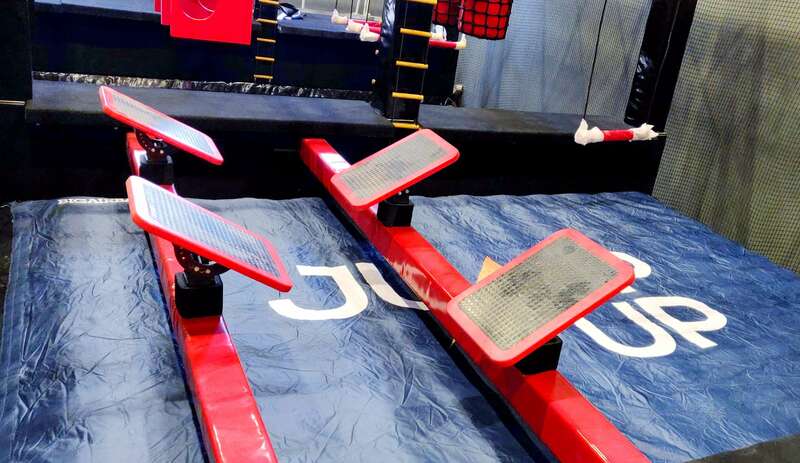 Specialised for up and coming athletes to practice new tricks and push their limits. 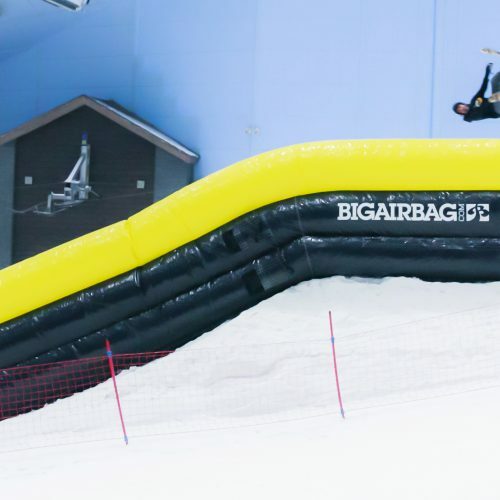 Silk Road Ski Area provides six completely customised and functional BigAirBag’s all of different shapes and sizes. Dean has installed a REVOLUTION 15m x 15m and a LANDING 20m x 10m. 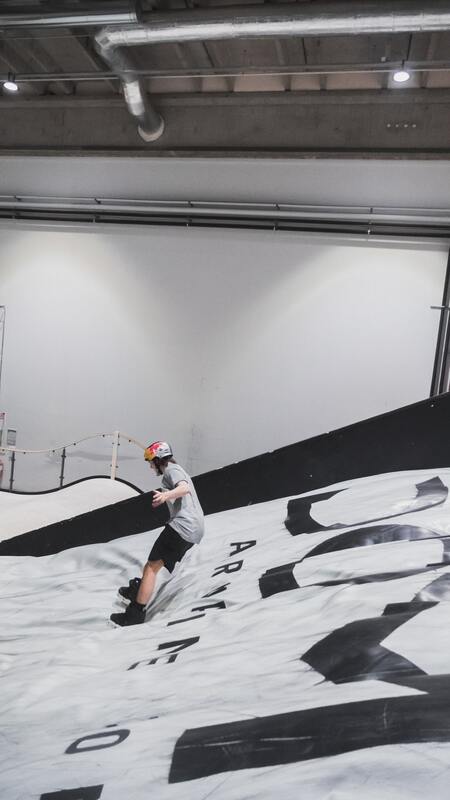 This unbeatable Snow park is set to open this winter season, which means Dean has a little more work to do, especially on the 50m x 20m LANDING bag weighing in at over 8000kg set to be constructed early next year! All in the space of one-week Dean flew to the Middle East and installed six diverse airbags within three different Trampoline parks. He travelled between Saudi Arabia and the United Arab Emirates literally “jumping” between locations. 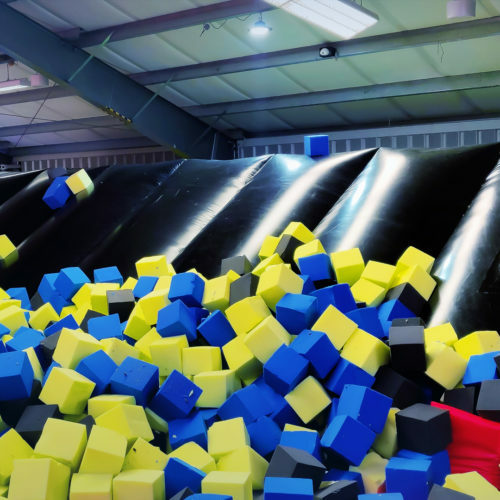 The Middle East is becoming a vibrant area for Trampoline Parks as they offer an exiting indoor play option in a very unique environment. 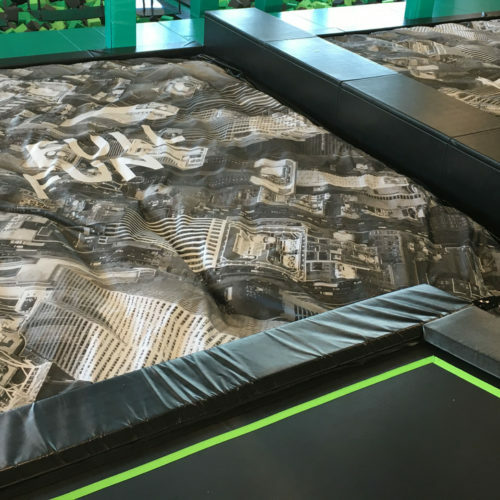 Four of the FOAM PIT BigAirBag’s were installed in“JumpUp” a Trampoline Park constructed by Walltopia with the materials from Continental Sports UK situated in Jeddah. 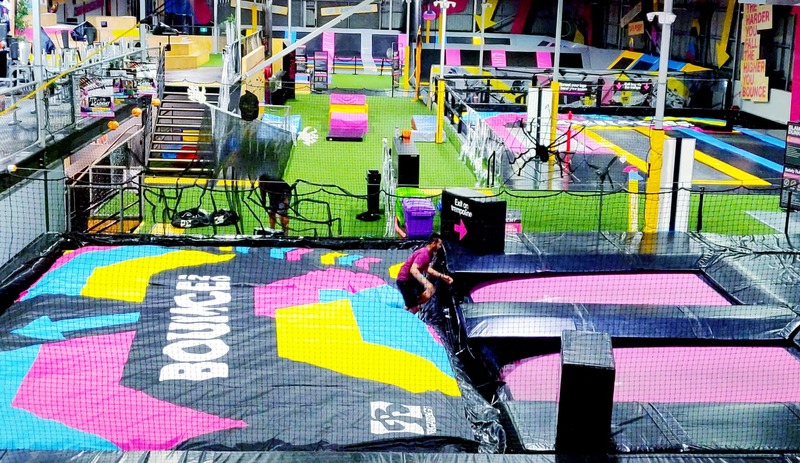 Two other bags were installed within the famous franchise “BOUNCE” who have recently introduced the first All-Female Trampoline park in the world located in Saudi Arabia. 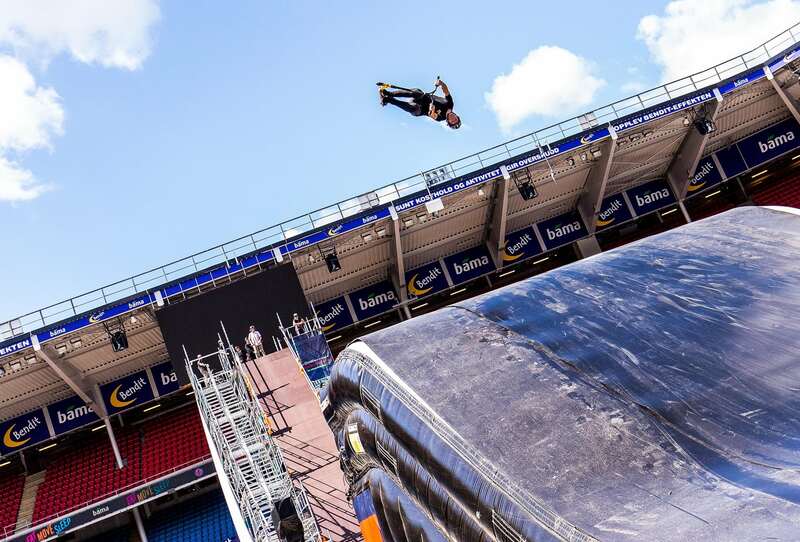 The Legendary FMX rider André Villa organised one of the biggest action sports contests in the world. 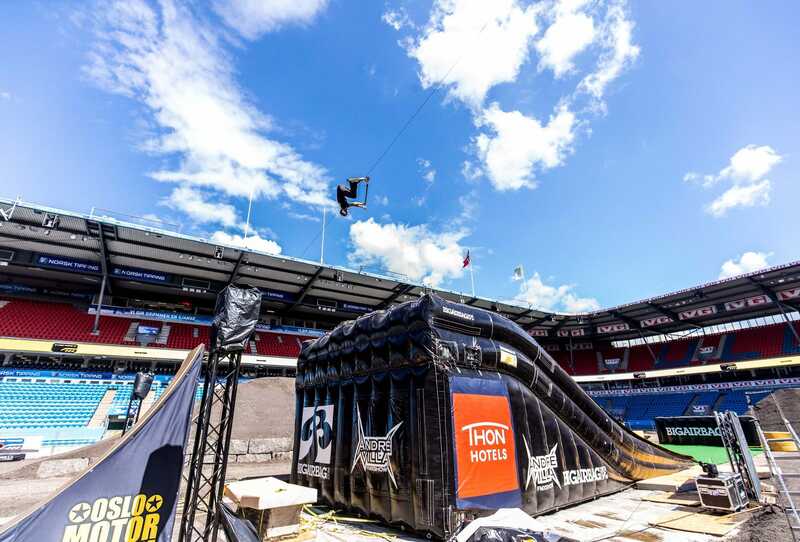 On the 16thof June Ullevaal Xtreme was hosted at the national Ullevaal football arena in Norway. The local hero constructed a state of the art track combining his knowledge on course maintenance and his years of experience riding FMX. The prize money and athlete hospitality is remembered as being one of the most professional in the industry. 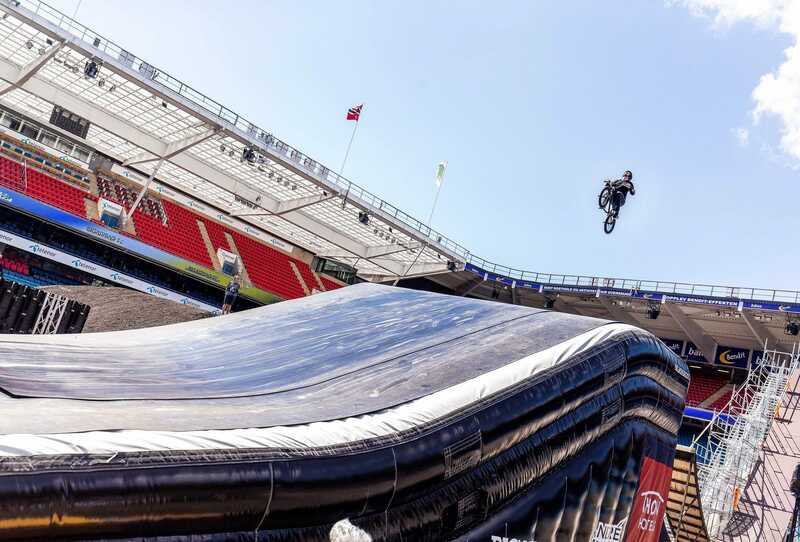 Top athletes from all around the world within FMX, Supercross, Kick bike, BMX and Snowscooter spoilt the audience with breath-taking stunts. 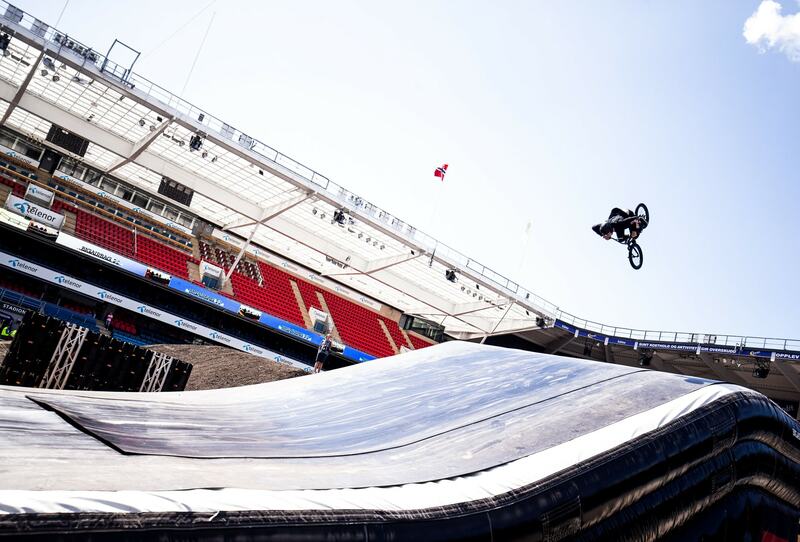 This transformed the experience into one of the largest motor and extreme sports events in the history of Norway. 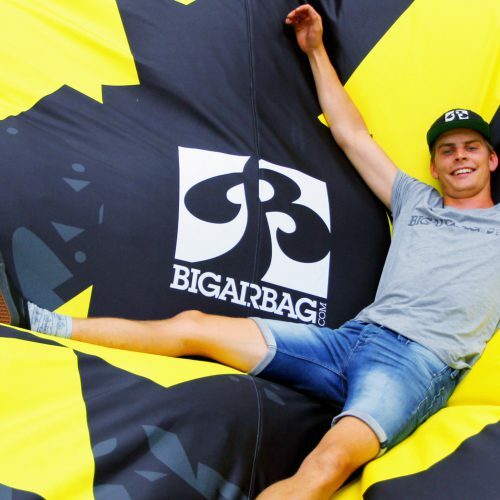 BigAirBag teamed up with Ullevaal and sent Dean to install the innovative BigAirBag LANDING with an additional wedge and resi layer on top of the bag. This is an updated model perfect for impact absorption. Its revolutionary design adopts the contour of the landing area it covers, providing fall safe protection. 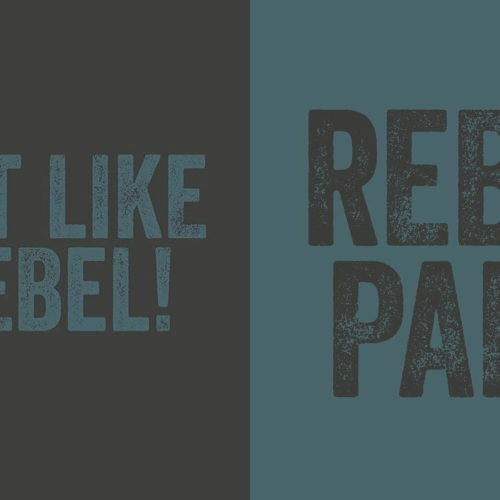 It has a fully customisable shape and design that is booming in the action sports industry. Optionally, adding the resi liner converted the airbag into an ultra realistic landing platform, meaning it was fully adaptable for all action sports. The additional crash barriers ensured that the safety of the riders was optimised to the max! 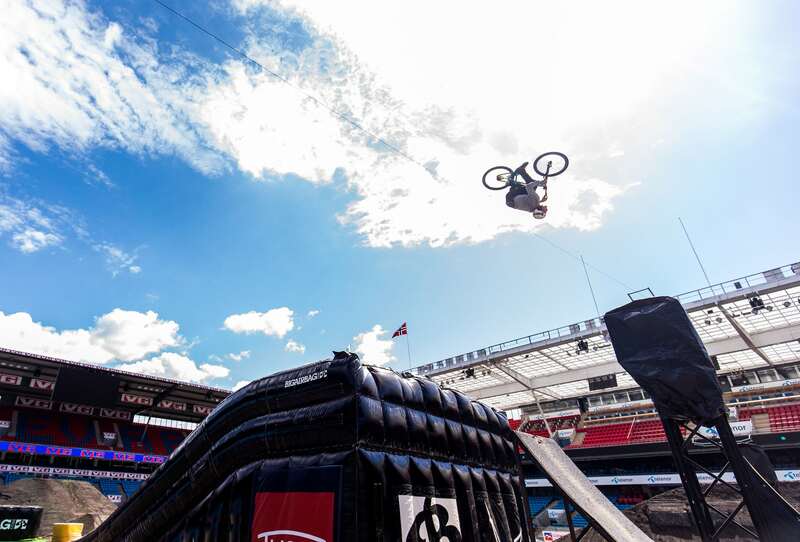 Dean himself is a big MTB enthusiast and one of his absolute highlights of this year was the installation in “The Dome Adrenaline Zone” located in Sweden. This state of the art facility is one of the largest extreme indoor arenas in the world! Where top athletes from all four corners travel to train. 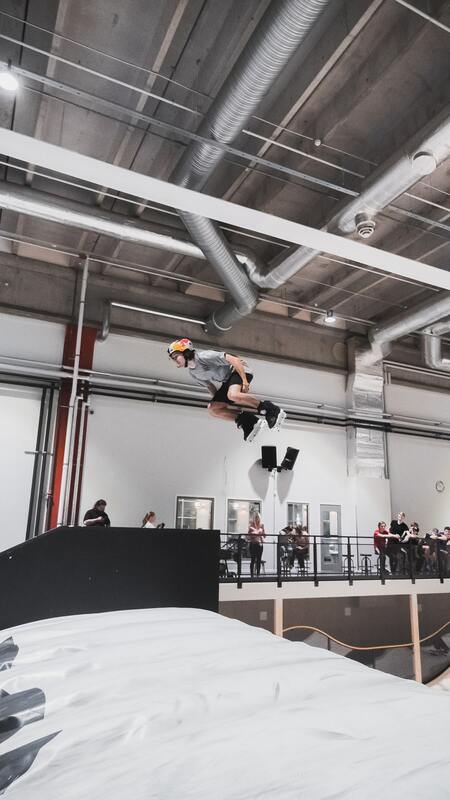 Athlete’s such as Martin Söderström, Brett Rheeder, Tom van Steenbergen and Jesper Tjäder (seen on pictures) have all trained in The DOME. 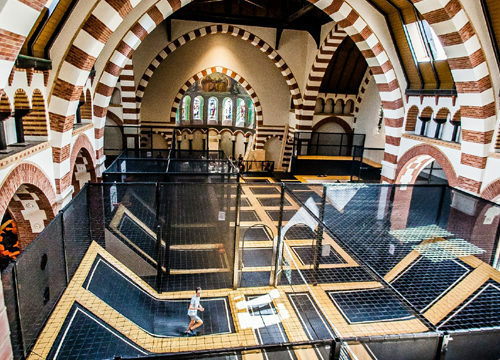 The Dome is not only a unique training zone for professional athletes. It also offers a great variety of recreational activities for both children and thrill seeking adults. “Definitely a Cork 720 on my bike. I landed it on a BigAirBag and the next step is the dirt. 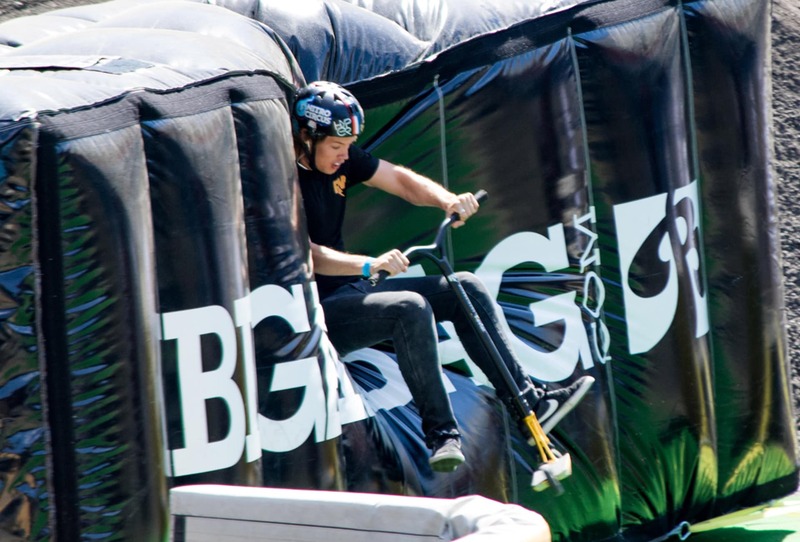 Having an option of a BigAirBag removes the mental barrier and allows you to push yourself to the absolute limit”. After a successful busy 2018 we can not wait for what 2019 will bring! 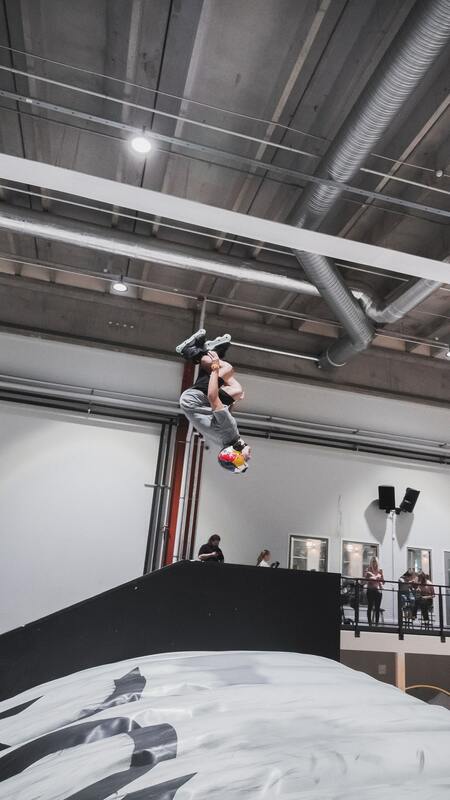 With two Foampit BigAirBag’s in one of the biggest indoor Skate/BMX & Trampoline park in The Netherlands, SamCity really deserves a spot! It was unfortunate that Dean hasn’t done the installation.